Check out our review of the Ultimate Ears Mini Boom bluetooth speaker. Ultimate Ears, makers of the popular UE Boom Bluetooth speaker, announced today that it is doubling down by going small, introducing the all new UE Mini Boom. The pint-sized pod attempts to make some noise (literally and figuratively) in the jam-packed Bluetooth speaker market with its “unexpectedly huge sound,” colorful, rugged exterior, and innovative features such as the ability to wirelessly pair two of the speakers for an even bigger sound and true stereo separation. The Mini Boom is able to pair with its brethren through a free app available for both Android and iOS. The speakers break into discrete stereo channels once paired, allowing users to team up their Mini Booms for a soundscape that’s virtually as wide as the room can handle — an impressive feat for an entry-level device. Other features for the Mini Boom include an onboard speaker phone, and an extended Bluetooth range of around 50 feet. Battery runtime for the speaker is estimated at around 10 hours — not fantastic, but considering its affordable $100 price tag, it’s still competitive. The speaker’s exterior is crafted from metal, and sheathed in a sleek rubber casing to provide some protection against the elements, though we wouldn’t go so far as to leave it sitting out in the rain. 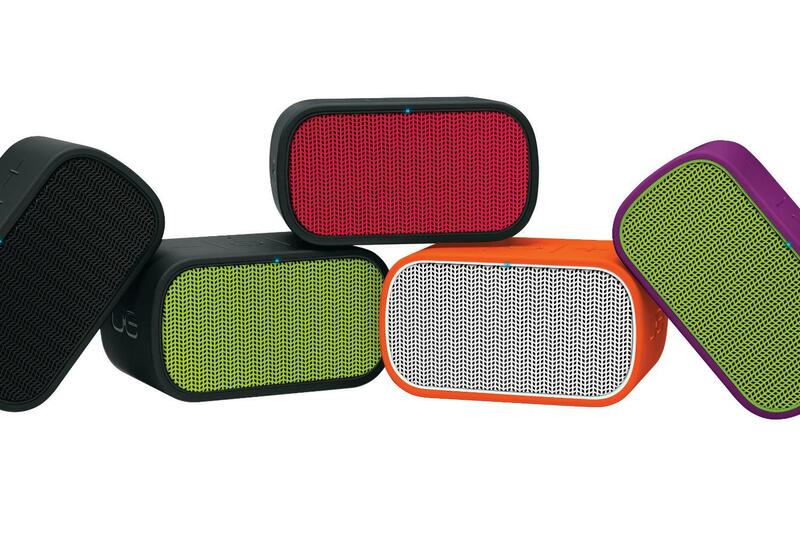 The $100 UE Mini Boom will be offered in a variety of color patterns including orange, purple, red, yellow, and black. No official release date has been announced yet, but the speaker is expected to be available some time this month.